Sao Tome & Principe, often just called Sao Tome, is the second smallest country in Africa only after Seychelles. A country that most people would have a problem pinpointing on a map. Check out this small video I made. Located in the Gulf of Guinea, crossing the Equator, west of Gabon and south of Nigeria; Sao Tome was uninhabited until its discovery by Portuguese explorers in the 15th century. Today the population is no more than 190,000. Sao Tome received its independence from Portugal as late as 1975. It has since been one of the most peaceful countries in all of Africa. These two tiny islands that makeup Sao Tome & Principe are by far the cleanest places I have visited anywhere in the world. There was no garbage along the roads outside the cities, and the rivers flowing through the country were crystal clear. 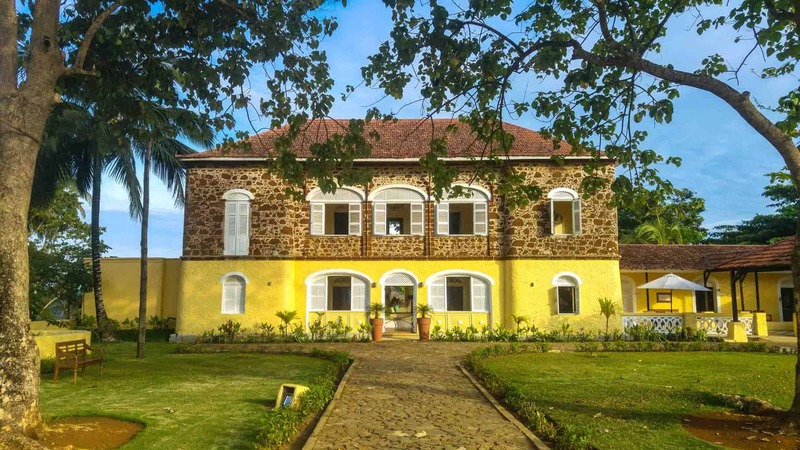 But be aware: Sao Tome is far from being a budget-friendly destination. In fact, it’s one of the most expensive destinations I have ever visited. It’s also home to some of the best and most exclusive chocolate in the world as well as world-class coffee. Click Here To Read A Full Guide About The Southern Part Of Sao Tome. Before I went to Sao Tome, I could hardly find any helpful travel information. 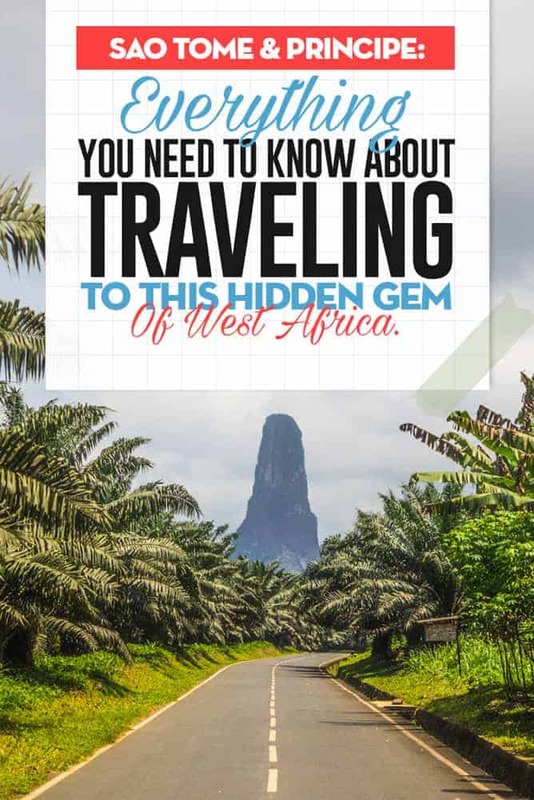 This is the only (at least updated) travel guide to Sao Tome & Principe, so you might have an easier time visiting this gorgeous island than I did (although I still had a fantastic visit in the end). Sao Tome & Principe, is as the name tells you, two different islands, with Sao Tome being by far the biggest one, and Principe being the smaller one. If you thought the main island was untouched, wait til you visit Principe. It’s just a 35-minute flight (only one flight a day) between them, or a 6-8 hour boat ride. I will cover Principe properly in its post. Visa For Sao Tome & Principe. Citizens from 61 countries, including countries in the European Union (not Schengen) the USA, Canada, Brazil and some western African countries can get a 15-day visa on arrival. Citizens from Norway (my country), all Asian countries, Australia, New Zealand and a lot of others have to pre-arrange your visa. The easiest way is to do it online through the Sao Tome government page, (I did it this way) and you can do it HERE. The page is an official government page. You fill out the form and upload a copy of your passport, and after three days you will receive a confirmation email. REMEMBER TO PRINT AND BRING A COPY WITH YOU. The visa fee is 20 Euro. A lot of travel agents will offer to arrange the visa for you, but there’s absolutely no need, do it yourself. The 15-day visa is for people getting one on arrival and for people who have to arrange it and is NOT extendable. The visa stamp takes a full page in your passport. Arriving And Leaving Sao Tome & Principe. The only way to reach Sao Tome & Principe is by plane to São Tomé International Airport. It’s the only international airport in the country and one of only two airports. The second airport is located on Principe and is only served by one local flight a day between Sao Tome and Principe. YOU WILL HAVE TO HAVE THE YELLOW FEVER VACCINATION AND THE YELLOW VACCINATION BOOK. Before even being allowed to enter the airport upon arrival, your vaccination book will be checked! You will be given a standard immigration card on arrival that has to be filled out. Be aware that going through immigration takes forever, everything is done manually here, with no computer or hi-tech systems. The airport is tiny; there is only one baggage carousel, there is NO ATM, no money exchange, no shops, no kiosks. There is nothing. This international airport is even smaller than a small domestic airport in Norway. So I highly recommend having pre-arranged transport to your hotel. 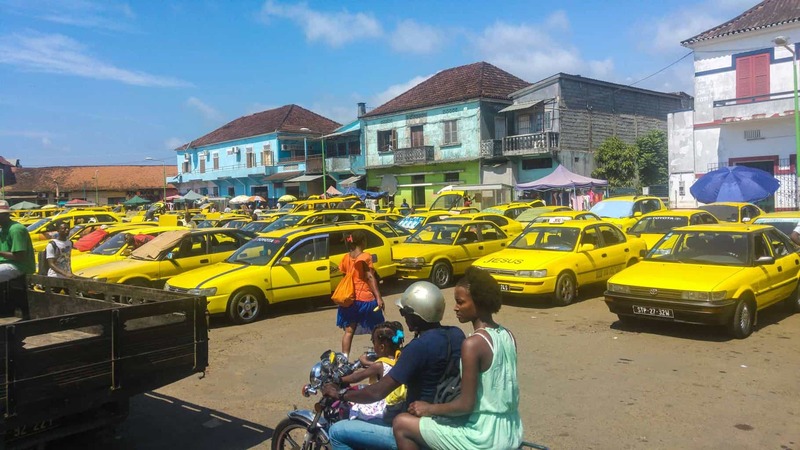 There are reports online that you will have to pay a departure tax when leaving Sao Tome, that’s NOT the case. There is nowhere to exchange your local currency inside the airport, so you will either have to take them home with you as a souvenir. Or spend them in the tiny souvenir shop selling local coffee, chocolate, rum (everything is a lot cheaper in the city), or the tiny kiosk selling beer and water. The locals around the two islands are always happy and smiling. Money In Sao Tome & Principe. The local currency in Sao Tome & Principe is Dobra. 1 USD = 24 000 Dobra. The rate never changed during my two-week stay in the country. There is NO ATM accepting western bank cards in the whole country, so you will have to bring cash with you, but that might change soon as Banco Internacional was putting up signs saying VISA during my stay. There is no official money exchange; everything is done on the street, and street money exchangers are found outside the most famous restaurants and the central gas station. I had ABSOLUTELY no problem exchanging money on the street; the money exchangers were completely honest. But be aware, I could never find them after dark or on Sundays. All the hotels I stayed in, and the car rental company I used accepted payment by USD/EURO and even PayPal. The more popular restaurants and shops accept payment in Euro, using the official rate. Like I already mentioned, Sao Tome & Principe is not a budget-friendly destination. I didn’t meet any other backpackers during my visit. The only other tourists I met during my stay were foreigners working in Angola, Gabon, and Nigeria, taking a short holiday here and Portuguese expats. There are no hostels in the country, and most of the accommodation outside the capital is expensive resorts. Expect to pay a minimum of 35 Euro a night for a basic room, often with a shared bathroom. Principe is more expensive than Sao Tome. All accommodation has a +3 Euro tourism tax, so if the price says 35 Euro, is it actually 38 Euro. Theoretically, the only way to get around the island is by hiring your own vehicle starting at 50 Euro+ a day for a small Suzuki Jimny or a motorbike (scooter) for 15 Euro+ a day, both plus fuel. If you want to save money, the cheapest thing is to stay in the capital and do day trips outside the capital using shared taxis with locals. If you have rented a car, there is no problem with wild camping around the country; I met a few people doing this. Cheap: 60+ Euro a day. You can take local taxis between the cities, but they don’t go off the main road. Local Food: 5 Euro a meal. Transport: Local shared taxis 3-5 Euro. Midrange: There are no real midrange options in the country. Flashpacker: 250+ Euro a day. Accommodation: 150 Euro a night in a nice resort, almost the only option outside the capital. Food: 10 Euro+ a meal. One of the old Portuguese coffee plantations, now a 5-star hotel on Principe. As previously mentioned above, renting a car is the only way to get around the island if you want to visit places off the main road especially since there are only about 140KM /87Miles of paved roads around the whole island. To get to the last village (Santa Catarina) on the northern part of the island is 47Km/30Miles, only takes about one and a half hours. And the southern end, Porto Alegre 75km/47MIles takes about 2 Hours. The rest of the paved roads are up to the middle of the island and some random roads here and there. The road to the south is almost completely perfect all the way, while the road to the north is full of potholes. There are yellow shared taxis going between the city’s (no buses) They leave when full. They can drop you off wherever you want on the way, but they can not pick you up outside the cities for some unknown reason. There´s never any problem to find a taxi, but it might be difficult to find the right one. I will recommend you to rent a car/motorbike since most of the sights are off the main road. There´s very, very little traffic on the road, so there no problem to drive on your own. The locals also seem to respect the speed limit. Sao Tome & Principe drive on the right side of the road. Your Sim Card will not work in Sao Tome. All guesthouses/hotels and the nicer restaurants offer free WIFI. But don´t expect high speed even in the high-end resorts. There are internet cafes everywhere; often the only way locals can get online. Portuguese is the official language and spoken by everyone, Spanish and Italian is also spoken by some. Almost NOBODY speaks English outside the resorts. Restaurant menus are never written in English. So I recommend you to learn some basic Portuguese before coming here. I was lazy and didn’t learn any, but the locals were always super friendly and helpful. Sao Tome & Principe is extremely safe; I will put it as one of the safest countries I have ever visited, violent crime in public is almost unheard of. I walked around after dark every day without any problems at all. Sao Tome is the first African country I have been to (I’ve travelled to 24) where I did not get hassled by the Police/Military. But I did meet female European expats saying they often got sexual harassment when going to the local markets. 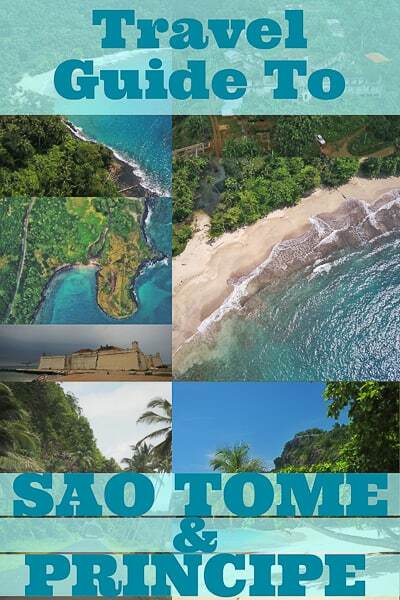 There´s no Lonely Planet Guidebook for Sao Tome & Principe. 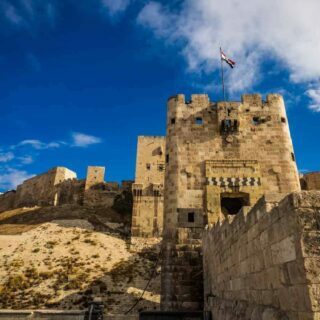 The only guidebook made for this country is Bradt Guide. The book was released in July 2014. It´s still pretty Accurate and helpful. Sao Tome is very laid back, so nothing happens fast here. Seafood, Seafood, Seafood. I’m not a fan of seafood, but I ended up having sea for every day during my visit. From Wikipedia: It´s estimated that 90% of the country’s food needs are met through imports. Furthermore, the country is not self-sufficient in meat and food grain production and is reliant on imports of these foods. 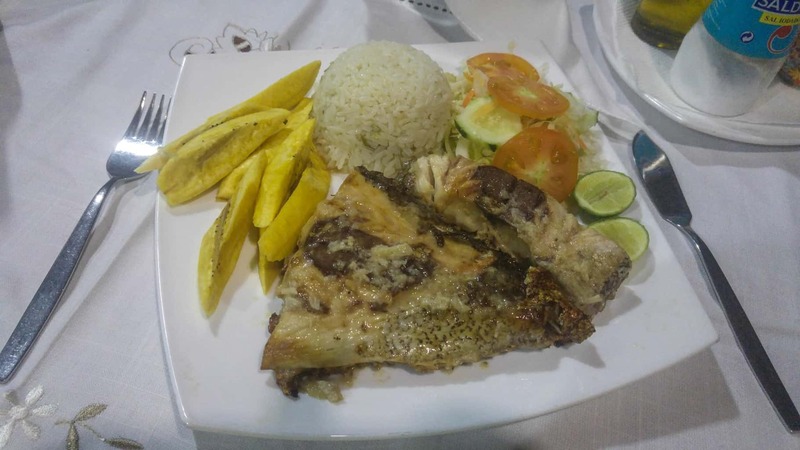 And because Sao Tome is surrounded by a rich ocean, he most common dish in restaurants is the catch of the day, that includes shark! However, pizza and hamburgers are common in the more popular restaurants for foreigners. There are two huge supermarkets in the capital, selling everything you would want, from imported wine and beer to breakfast cereals. Everything. The most popular guesthouses in the capital have guest kitchens. Tap water is Ok to drink from resorts around the island, and most guesthouses in the capital. But be sure to order bottled water when in local restaurants. Bottled drinking water is imported from Portugal. 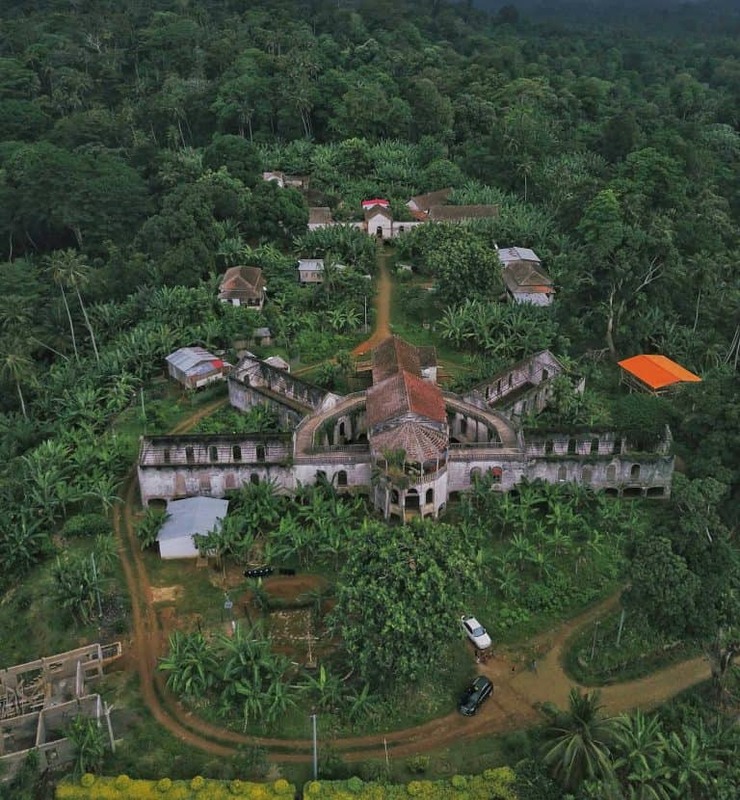 Sao Tome is famous for its coffee, and it´s old Portuguese coffee plantations all around the island, most of them are now abandoned, but there´s still one running in the middle of the island. For some stupid reason will you not get local coffee in restaurants, or even in 5* resorts. You will get capples coffee from Nescafe. What a joke. Alcohol is available everywhere. 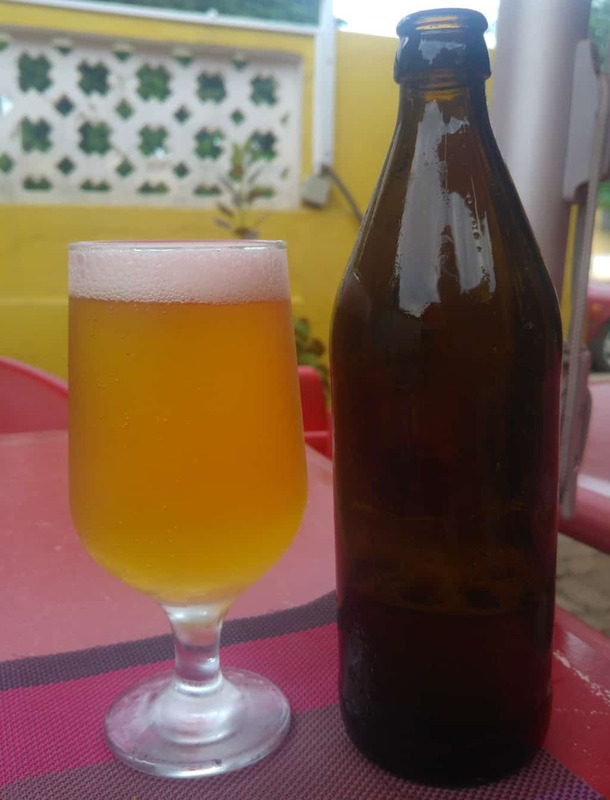 The only local beer is Rosema, served in brown bottles without any label, imported beer from Portugal. Sagres and Super Bock are also sold everywhere. Local people outside the capital stick to homemade palm wine, and don’t be surprised to see roadside parties with blasting music during the weekends. Head to one of the big supermarkets to buy your favourite international spirit or wine. 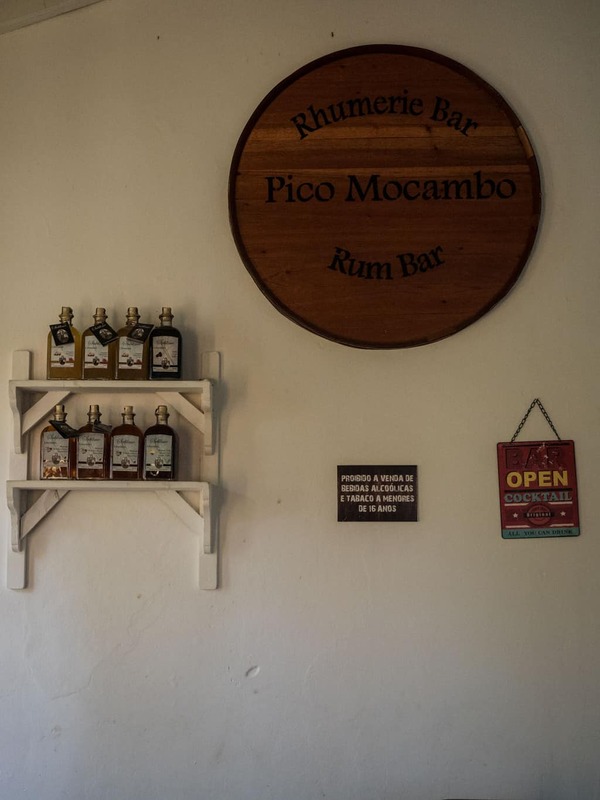 The first Rum distillery just opened in Sao Tome. And it´s the best rum I have ever had. The power plugs in Sao Tome & Principe are the standard European 220V dual pin power plugs. Everyone except mainland Europeans will have to bring a power adapter. Power cuts are very normal, so be sure to bring a flashlight. Very few villages outside the capital have electricity. In Sao Tome town did I stay in Sweet Guest House that I can highly recommend. It by far the most popular Guest House, super friendly English speaking staff that can help you with everything, and common guest kitchen, I would stay there agian. Since you will either base yourself in the capital and do day trips around the country or stay in resorts outside the capital, you don’t need to pack anything special except a flashlight for power cuts. But I do recommend you bring a snorkel and diving mask with you, the water around Sao Tome & Principe is crystal clear and full of marine life. 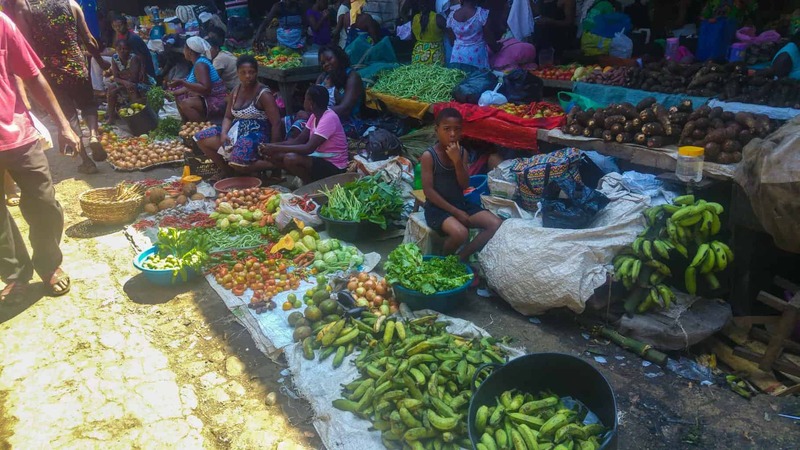 Overall Experience Of Sao Tome & Principe. I can’t give Sao Tome & Principe enough credit, the country is breathtaking, people are super friendly and inviting. 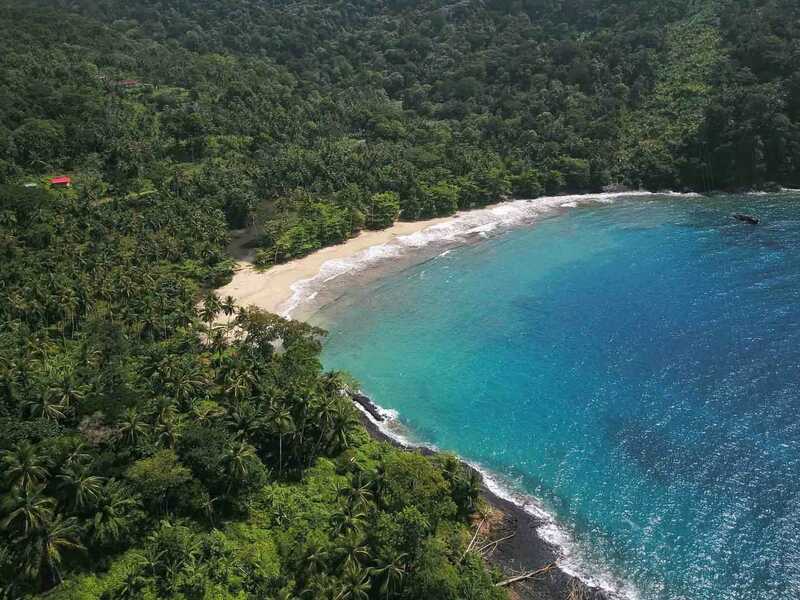 If you visit Sao Tome will you discover a truly off the beaten path country, with some of the most stunning beaches in the world, rich with colonial history and endless possibilities when it comes to hiking and nature yet to be discovered? Sao Tome & Principe is heading straight over all the countries I have visited my top 5 countries list, together with Bhutan, Pakistan, Georgia, and Iran. Thanks for this usefull guide. Planning our trip at the moment and your information is more than handy! 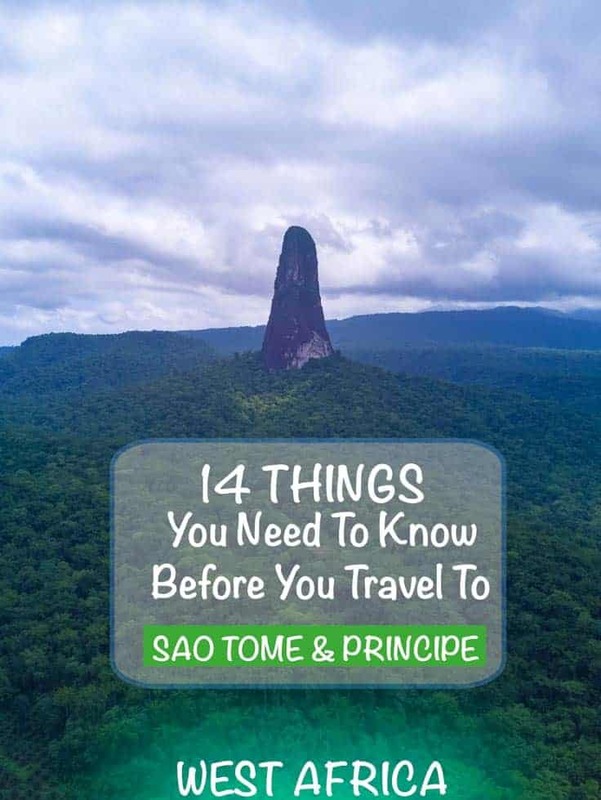 This is some great info on Sao Tome & Principe! For someone who has never visited Africa before, would you recommend this country as a great introduction? Or would you suggest we visit a few other countries first before coming here? For someone who has not been to Africa before this is the country to travel to if you want safety and beautiful nature. However, if you want a destination similar to Europe or the U:S. you should probably go to South Africa or something like that. Sao Tomé is something else. I have never seen such greenness as in the south of Sao Tomé, it´s so chlorofile green (if there is such a word?) that it almost hurts your eyes. It´s also good for mountain trekking. The richness of this tiny country is not about money and technology but about nature and people. So don´t hesitate just go! But don´t forget a rain pocho because it has tropical climate so it rains almost every day, but just for a while, most of the day is sunny. Hell, my name is Marcal Ramos I am from Sâa tome and Principe, first of all, let me say that I could be more happy to read what you all are saying here about my tiny country, thank you so much. If anyone needs anything, or want to know anything about Sao Tome and Principe just ask. Thanks so much and will need more information from you sir. Thanks very much for the helpfull and practical guide. You made it a real topper. We are visiting Sao Tome in august and i am now greatfull for this work. I’m happy I could help, I’m also currently working on two other posts from Sao Tome, one for the central part and one for the southern part. So nice to read about these forgotten islands. We are thinking of going next summer with our kids. Did you do any serious hiking? Do you need driving licence to ride a small motorbike? I didn’t do any serious hike, only a few smaller ones. There´s possible to do a long day hike to base of Cao Grande Peak, a guide is required. There’s a longer 2/3 hike you can do along the south-west part of the island, from port Alegre to Santa Catarina. There´s a lot more hiking options on Principe. I didn’t need a driving license to ride a small motorbike. 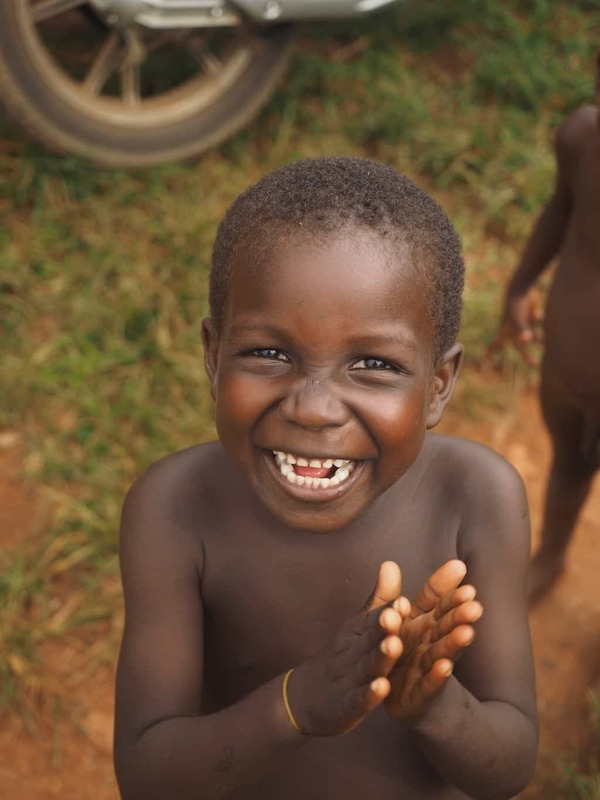 Im happy to help Annabelle:=) Enjoy Sao Tome, it´s an amazing country. This has been super useful! How easy was it to pick up a local tour guide for a day? Picking up a local English speaking tour guide is not super easy, but if you speak Portuguese will it be easy. For a English speaking one would I recommend to ask the hotel / guesthouse your staying at. If you are also going to Principe will I recommend the person that I’ve mendtioen in the Principe post.